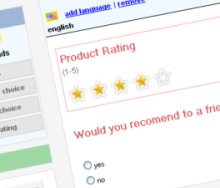 Questionform is a web application for creating, publishing and analyzing online surveys and forms (learn more). It is easy and fun, with drag and drop and a few clicks, you can build powerful online surveys in no time. 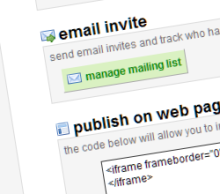 Try our form editor. Track your survey responses in real time, analyze the results, create reports and export the data to your favorite spreadsheet. 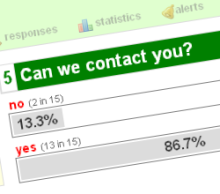 Easily integrate the survey with your web page (example) or social network. Send the survey via email and track who has responded. Check the example survey form. Check our features, see plans & pricing. You can also create an account here.